Self-balancing Scooter alias a hoverboard is a battery-powered scooter, consisting of two wheels arranged side-by-side with two gyroscopic sensor pads on which the rider stands. These are rechargeable and quite portable to use. 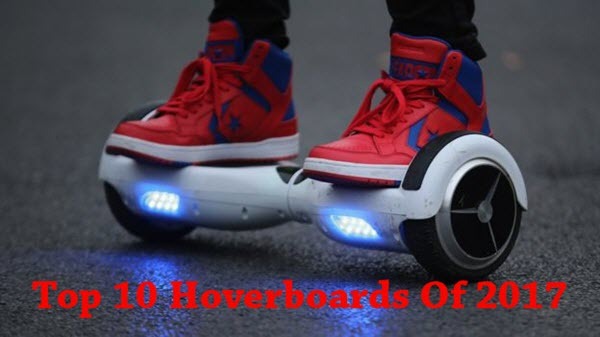 Moreover, these hoverboards have recently gained a lot of popularity among the people, especially in the USA. These are mostly used for recreational purposes and as an alternative to the routine activities of riding cycles, walking, biking, etc. Thus, self-balancing scooters are proving to be quite cost-effective and convenient to use. 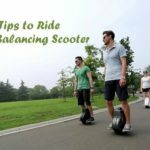 Ease and Comfort: Self-balancing scooters are becoming a routine part of people’s lives because of the ease and convenience they provide. Just lean a bit forward to move ahead, left to turn left, right to turn right, and lean back to stop it. Battery-charged: As these run on batteries, it is pretty simple to enjoy a long ride on them. Once fully charged, they can offer you a speed ranging from 8 km/h-20 km/h. Moreover, as they don’t need any other type of fuel, so they are quite environment-friendly too. Lightweight: The manufacturing of self-balancing scooters doesn’t involve the use of bulky or difficult-to-control equipment. Hence, these are very lightweight and can be carried anywhere you go. 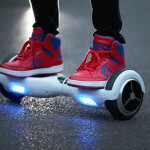 Suits Your Lifestyle: Obviously, you cannot use hoverboards on a congested road or in heavy traffic, but for short and nearby journeys, nothing else seems to be giving them competition. You can easily run errands using your hoverboard instead of taking out your heavy bike or scooter for the same. Though the manufacturing of the self-balancing scooters was restricted for some time for certain security reasons, they are back in the markets again. This time, their production has taken into consideration the required certification of the UL, the US safety regulator, which make them safe to use. First, take a quick look at the list of the 10 best hoverboards for the year 2017 here. 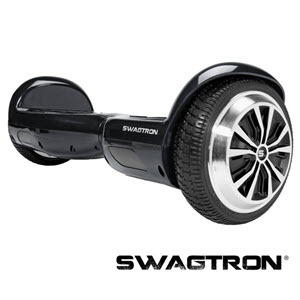 Swagtron is one of the leading manufacturing brands of the best-selling self-balancing scooters in the US. 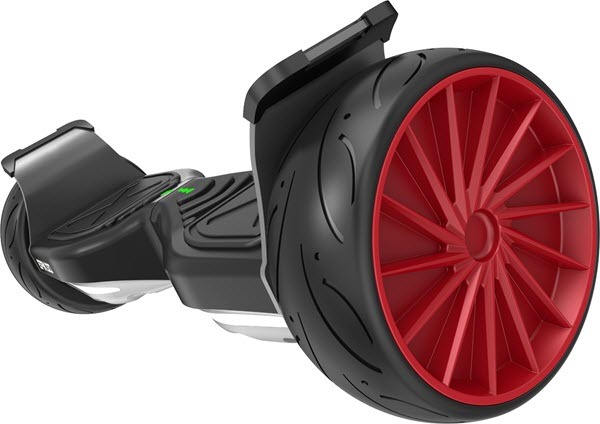 After the restriction on the use of hoverboards due to safety purposes, Swagtron has bought into the market its new T1 model which is equipped with the unique “Sentry Shield Battery Pack.” This system protects you against an unexpected fall while riding. It produces a beep sound when your hoverboard is about to run out of charge and thus, saves you from a sudden and jerky stop even when you are on a high speed. Moreover, one of the most important facts about Swagtron is that it is the first brand to receive the UL 2272 certification and therefore, establishes itself well in the market as far as safety and security of the product is concerned. Owing to an impressive wheel-size of 6.5” which helps keep the scooter close to the ground, it is quite easy for the beginners to learn to ride it. Its UL-2272 certification makes it unbeatable in regards to safety of the rider. Equipped with front-facing LED lights and comes with 1-year warranty period. Though it offers a maximum speed of 8 mph, you may have to find if it suits your needs or not. It provides a reduced level of performance when compared to its older generations; however, it gives its best performance in comparison to the other available brands. It is a great idea to go for the new Swagtron T1 as it offers a well-established combination of price, performance, comfort, and safety. 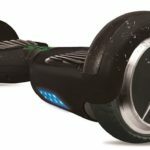 Also, Swagtron is not expected to go out of the business of manufacturing and selling the self-balancing scooters soon as it is already providing the best-selling hoverboards currently. 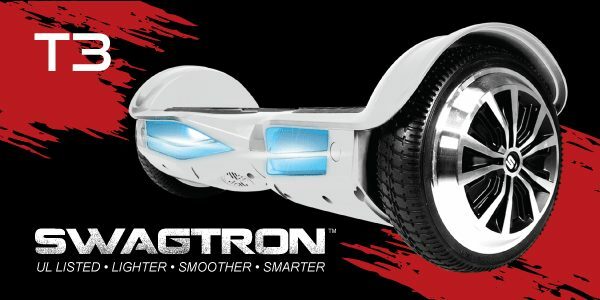 Another Swagtron product with better hardware quality and a few changes in its looks as compared to its previous versions. The T3 hoverboard offers you a flexible and well-developed hoverboard which is equipped with redesigned wheels to give you the option of balancing it with the help of placing one foot first and then the other. Also, you will also be provided with an inbuilt Bluetooth speaker. 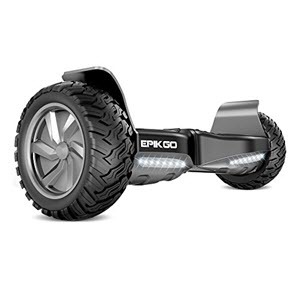 Additionally, it can reach up to the maximum speed of 8 mph with a battery-life of 12 miles once fully charged. No competition as to the safety provided through UL-2272 certification. Inbuilt bluetooth speaker and 1-year warranty. Better protection and collision damage. Doesn’t give resistance against water. A bit higher in cost for the extra benefits provided. 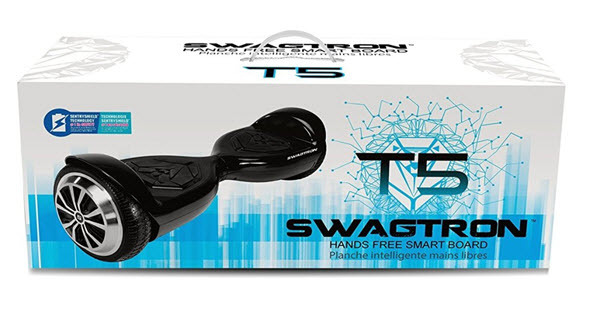 The T3 hoverboard from Swagtron is the latest and an improved version of its previous models. With UL-2272 certification, it is considered to be quite secure against any accident. A gentler self-balancing scooter of a kind! 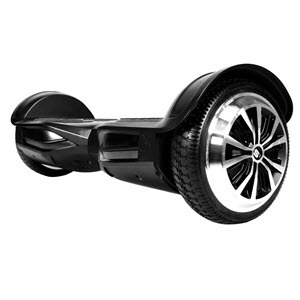 As compared to the older models manufactured by Swagtron, the T5 hoverboard is much sleeker in design and structure and hence, is much more comfortable for the children who are unable to control a bulky scooter. Weighing just 18 pounds, it can easily be carried even by the kids, and despite its slim design it enables you to take up a weight of almost 220 pounds. 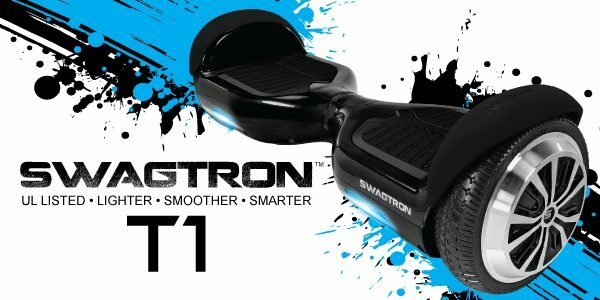 So, if you want to go for a Swagtron product, you can try it out with T5! Being a Swagtron product, it offers a UL-2272 certification. Slim and sleek structure makes it portable even for young kids. Unlike its contemporaries from Swagtron, it gives the maximum speed of only 7 mph. Not suitable for those who love speed. Due to its light-weight, T5 is a good choice if you want one for your children. Also, within a few days of its launch, the T5 hoverboard has gained a lot of popularity and has become one of the best-selling hoverboards available currently. With a maximum speed of 8 mph and a power of 60 minutes before recharging, the Razor Hovertrax 2.0 hoverboard gives competition to its contemporaries. It is quite effective and smooth when it comes to racing, coasting, and even commuting to short distances. The headlights offer better luminosity to the rider, and its wheels are equipped with metal guards which help prevent them from any lateral impact. Additionally, it is backed by the safety measures of LG and owns UL-2272 certification which makes it safe and sound against any effect of a collision. Extra features of LED lights, fender bumpers, and LED battery-life monitor. Equipped with training as well as normal use mode. Not suitable for uphill or a downhill ride. Needs more effort to balance the feet on the board while riding. The 1-hour battery life cannot be improved. 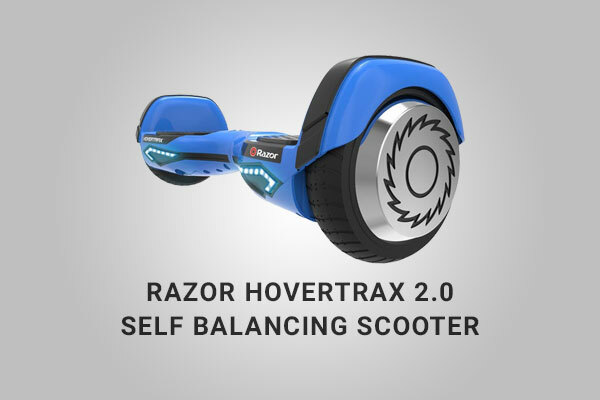 Undoubtedly, the Razor Hovertrax 2.0 Hoverboard is a pretty convenient mode of self-transport even for the beginners as it comes with the training mode to make them practice riding. Although it is a new entry in the hoverboard segment, still its uncompromised safety and security measures make it a great pick for all. A product form Skque that links your cell phone with its inbuilt bluetooth speaker to let enjoy a musical ride! It is equipped with LED lights which make it safer even for evening rides. 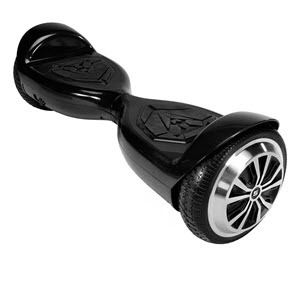 The gyro sensor wheels give you a smooth and stable ride, and it is pretty easy to control as well. One very interesting feature of the Skque 6.5” hoverboard is that it provides you a 360-degree turn, standing at one spot. Experimented and recommended by many celebrities, this is something worth going for. 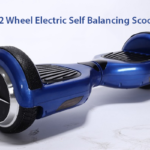 UL-2272 certified hoverboard, giving you a safe and secure ride. Once charged, can take you to a distance of even 12.4 miles. Comes with two driver motors located within the wheels for easy control. 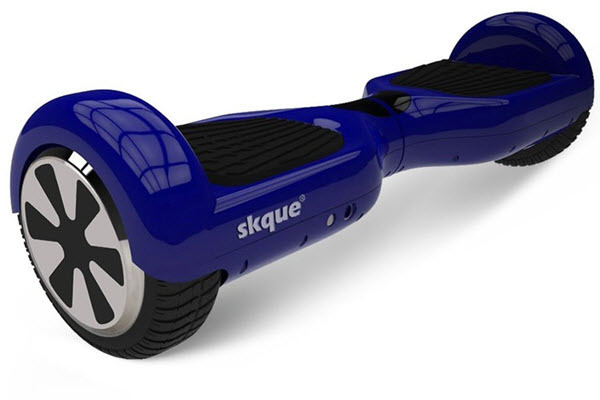 Unlike other hoverboards, gives a top speed of just 6.2-7.4 miles per hour. No training mode available for the beginners. 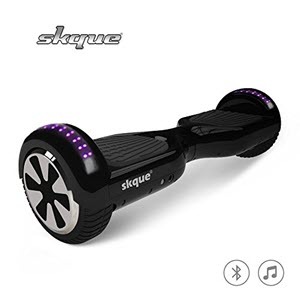 If you cannot wait for your hoverboard to take you on a pleasant journey, the Skque 6.5” hoverboard is a great option due to its fast charging feature which speeds up the process of charging up to 15% than usual. Furthermore, its enhanced chassis and a stronger shell design offer you the desired durability. 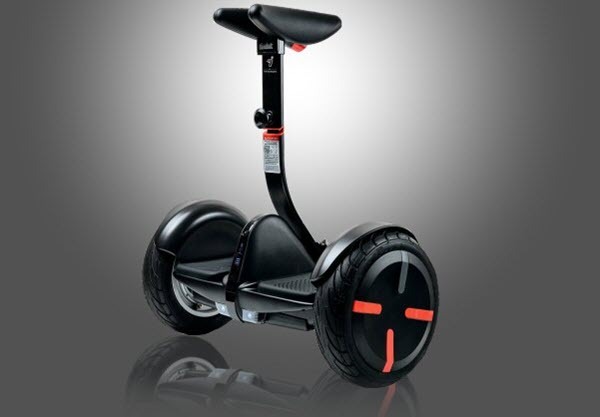 The highlight of Segway miniPRO is its 10.5 inch inflated tyres that offer a superb grip on difficult terrains. Its amazing foldout knee-controls also ensure you have a fun ride, adjusting the hoverboard in the direction you wish to take it to. 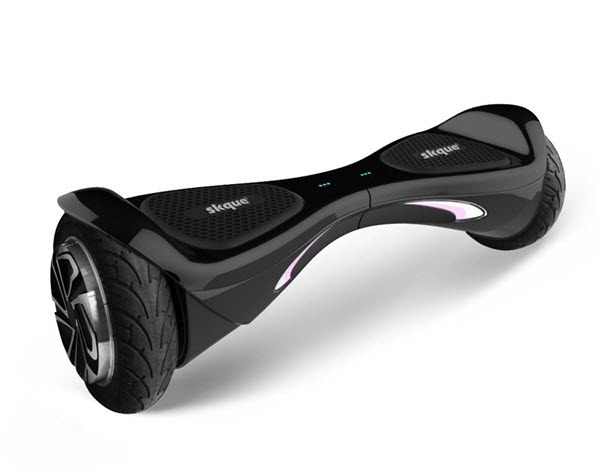 The hoverboard consists of LED luminosity feature, Anti-theft alarm, etc. It provides a great speed which can be accelerated up to 10 mph. However, its automatic speed regulator is not fit for those who love speed and want to go beyond the maximum limit. Its polished and slightly larger design gives you a much better control over it. In comparison to the usual top speed of 8 mph of other hoverboards, it gives you impressive 10 mph acceleration. Its mobile control app allows a better customisation and theft-control. Has a steering bar too for greater control. Speed restriction through speed limiter; not suited for speed lovers. Large size makes it a bit difficult to handle. With almost twice in terms of cost as compared to the other hoverboards, Segway miniPRO offers only a 60 minutes ride with a single battery charge. But, as this is a disadvantage which even many branded hoverboards are struggling with, it doesn’t lessen the performance factor of mini-PRO at all. 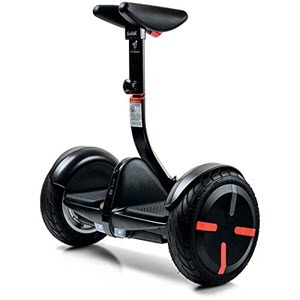 Providing the very best overall experience of riding, Segway miniPRO does justice to the price tag. EPIKGO hoverboard offers 2-times powerful and 30% larger design which in turn proves to be really awesome for gaining the stability and control. Best suited for tough terrains even as steep as 18 degrees with a top speed of 10 mph. Also, its manoeuvre is pretty easy on sand, mud or grass with its solid rubber tyres that provide it the necessary stability on the ground. Certified by UL-2722 safety regulations, it has passed all the required tests to make it a great option to buy. Larger wheels make it easy to learn the ride. Has 8.5” tyre-size, suitable for all-terrains. 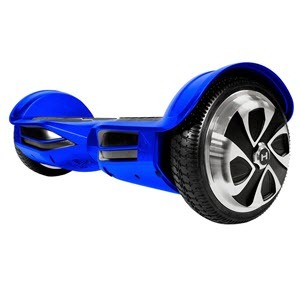 Provides a great speed of 10 mph and its powerful dual 400W motor improves slope climbing. Gives a battery-life of just over 1 hour. Epikgo’s casing is IP56-rated which protects it against water and dirt. The larger wheels of 8.5” allow it to avoid aby bumps on the road as it is not easy to take a quick turn with large tyres. Therefore, if you want to opt for an off-road or an off-season ride, this is it. 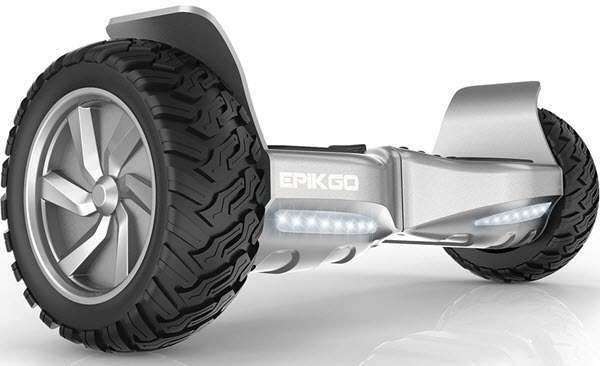 Only a few other hoverboards can stand up to the pressure that Epikgo has to go through. So you can surely rely on this. Even more powerful than its classic version, the EPIKGO Sports Plus is equipped with a dual-motor system which is of 440W, making it suitable to climb even 30 degrees slopes. 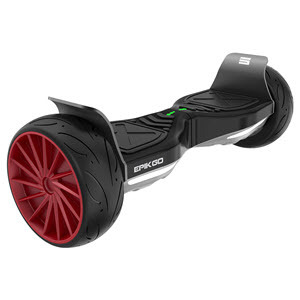 Moreover, it consists of the bluetooth device on board, giving you a fun ride everywhere you go. With two times larger board size than the usual hoverboards, it provides more space to place your feet for way better stability and control. Additionally, it has all-terrain tyres which are well-suited for sand, mud or grassy lands. Giving you a top speed of 12 mph, it runs to a maximum distance of 12 miles on a single charge. Provides maximum speed of 12 mph among all its contemporaries. UL-2272 certified and passed 159-Point Safety Test too. 8.5” alloy wheels give 30% better performance than the other hoverboards. It takes 2 long hours to charge its battery fully. Being a sports version, it surely is way ahead of its classic models. Feasible for all-terrains whether muddy, sandy, dirty or grassy due to its large alloy wheels. It also stands out because of its durability which enables it to overcome any possible obstacle on its way. So, if you are planning for an adventurous ride somewhere, it is one of the best choices to bank upon. 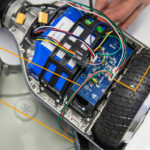 Hoverzon’s “Aegis Army Battery Protection” makes the XLS, the most durable self-balancing scooter. In simple words, this protects the battery through multiple shock-absorbing layers. Adjacent to the status indicator on board, there is a battery-life indicator too which tracks the use of battery and indicates the residual power. Moreover, it is quite suited to the needs of everyone from a beginner to an experienced to even a pro. It comes with a 1-year warranty period and also has the system of LED lights in the front as well as the on the rear side. Integrated Bluetooth device is also available for you to carry on with your pleasant trip! Practice, Standard, and Advanced modes according to the riding needs. Better protection with its shock-absorbers. 60 minutes battery-life can be improved. 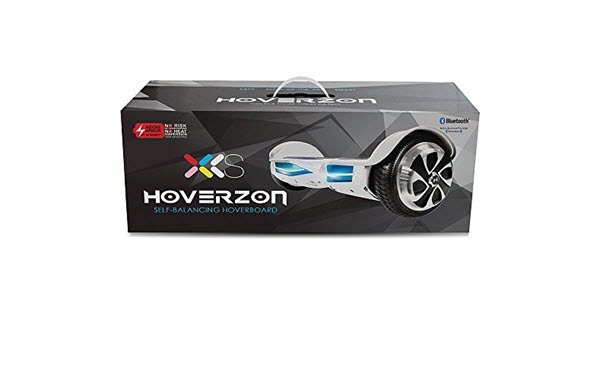 Hoverzon XLS is a premium self-balancing scooter from Hoverzon, offering a wide variety of features, ranging from LED lights for illumination to an inbuilt Bluetooth device to wider foot pedals to gain more control during the ride. Though it comes at a pretty higher price as compared to the other hoverboards, if you can manage with its short battery life of 1-hour, you can surely go for it. 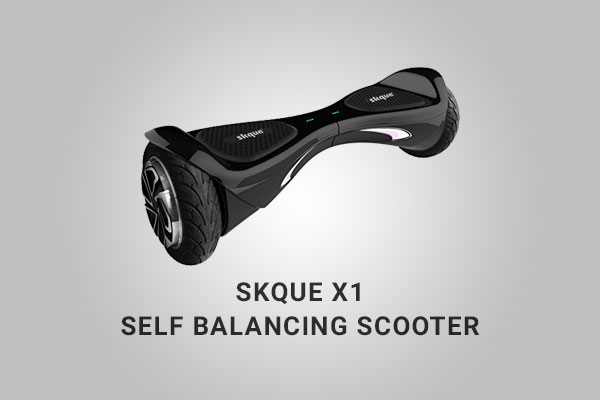 If you are planning to go for a rough ride, you can surely rely on the Skque X1 model. It is built with a sturdy plastic shell which helps protect the most vulnerable parts of the scooter during such a ride. Can be turned into 360 degrees standing at a single spot and its zero turning radius makes it convenient to be operated even in very narrow spaces. Equipped with 8” hard rubber wheels, it is very easy to use on flat surfaces. However, it may become difficult to control on a cracked surface or ground with obstacles. Also, due to the hard rubber material, it is well-suited for different kinds of terrain. The absence of the training mode for the beginners doesn’t hamper its performance as its design offers the rider an ease and comfort of using it. Inbuilt bluetooth device and LED lighting system. Maximum speed of 8 mph and distance 12 miles on a single charge. Different wheel sizes for adding stability. Battery-life can be cut short due to continuous use of bluetooth. Difficult to ride on sideways with cracks and obstacles. No training mode for the beginners. The LED lighting system provides the ease of riding during the evening hours. Additionally, if you can cut short on the Bluetooth usage sometimes, it also offers a sound battery backup. With its stable gyro-sensor, it responds quickly to your movements. It is available in black, white, blue, and red colors, so you have a variety to choose from. I hope now you are in a position to decide as to which one you should go for. So, just go and get a fun ride with your favourite overboard out there! How To Disassemble A Self Balancing Scooter?